The 120-Watt 333XL isn't the kind of amp that likes to play nice. This brute supercharges your tone with raw, growling power driven by matched, bulldog-voiced EL34 power valves and four matched 12AX7 preamp valves. Or, by flicking a switch, your amp suddenly becomes ready to swap the EL34 tubes for four 6L6 power tubes, giving you a classic California-style clean. To get started, take your pick of either the High Gain or Low Gain inputs. All three channels feature their own Volume, Gain, Bass, Mid and Treble controls. 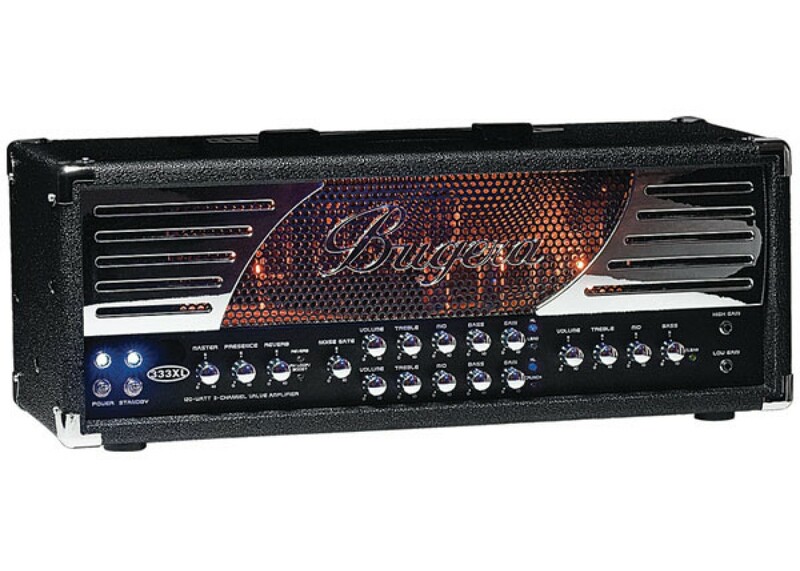 The Crunch and Lead channels feature the XL switch that not only gives low-volume output a punchy boost in the low frequencies, but also functions as a noise gate. You can govern the sound of all three channels with the dedicated Master Volume, Presence and Reverb controls. The 333XL gives you the power to customize every aspect of the sound it produces. 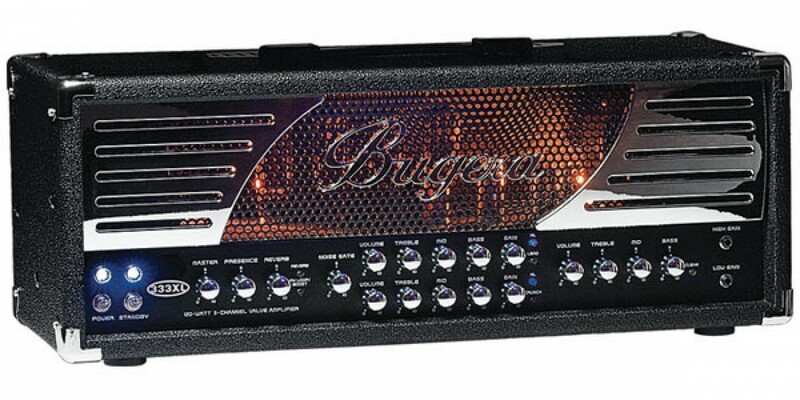 It has an Impedance switch (4, 8 and 16 Ohm) to match virtually any speaker cabinet. Its FX Loop has independent Send and Return level controls that also serve as a boost function. You can even dial in your preferred Line output volume via its dedicated Level control. But that's not all " this devastating valve head also includes a metal-clad footswitch that allows you activate any of the three channels as well as boost the FX Loop. When you're ready to take the gloves off, give 'em the bare-knuckle treatment with the BUGERA 333XL.